Overview & specs of Essentials 301 Black HP Ink Cartridge by Littlewoods. HP 301 Black Original Ink Cartridge (CH561EE) HP 301 Black Ink Cartridges are designed to deliver user-friendly features and great value. Print documents with laser-quality black text and sharp images that resist fading. Get user-friendly features and great value. Easily monitor ink levels and finish critical print jobs when you're low on a specific ink. And its easy to choose the Original HP ink cartridge tailored to fit your printing needs. 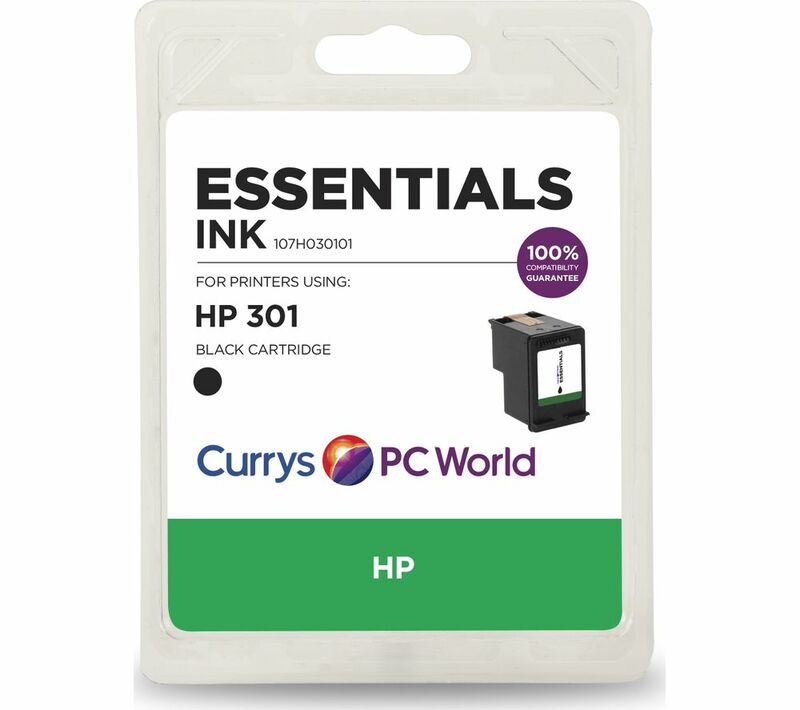 We are comparing prices for Essentials 301 Black HP Ink Cartridge in new condition sold by Currys Pc World, Robert Dyas, Littlewoods, Ink Factory, Office Stationery, Argos, Very.co.uk.